Eat Out for Nevins! Sept. 12th Pure Pizza, Central Ave. 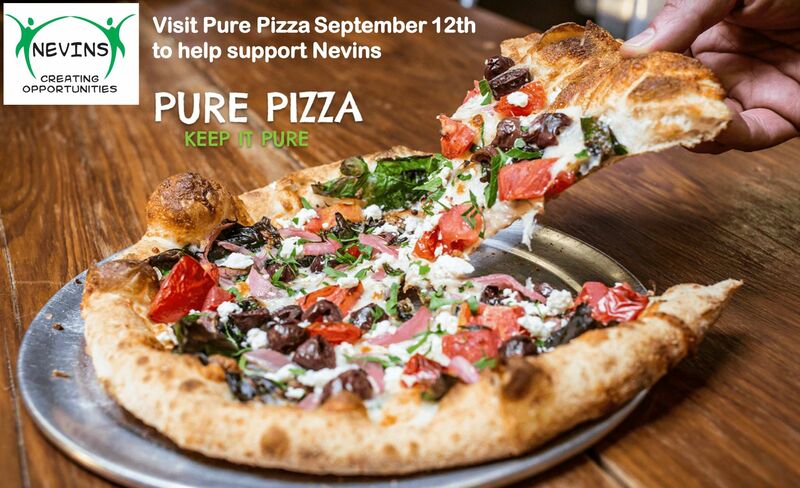 When you purchase your meal mention Nevins (or show them this flyer) when checking out at the restaurant, and 15% of your meal will be donated back to Nevins Inc.